General contractor S Construction collaborated with Shively and Kokkino on the remodel. The colorful apartment pays homage to the midcentury building, a 1968 high-rise in the Edgewater neighborhood, but it also has a more subdued side. 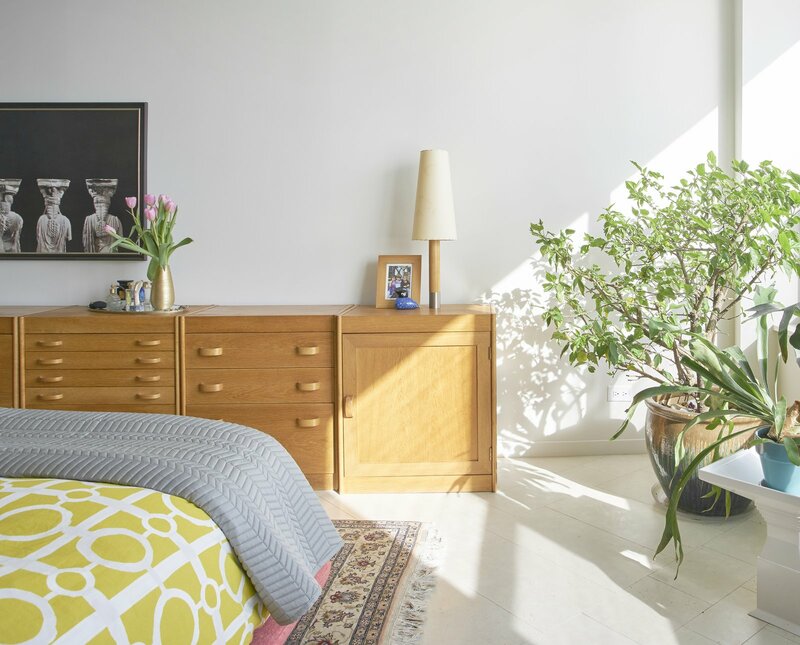 The master bedroom is an all-white sanctuary filled with houseplants. The Rudd International oak sideboard is a vintage piece from the 1970s.